This fabulous limited edition paperweight was made by Michael Hunter for Twists Glass in 2018. 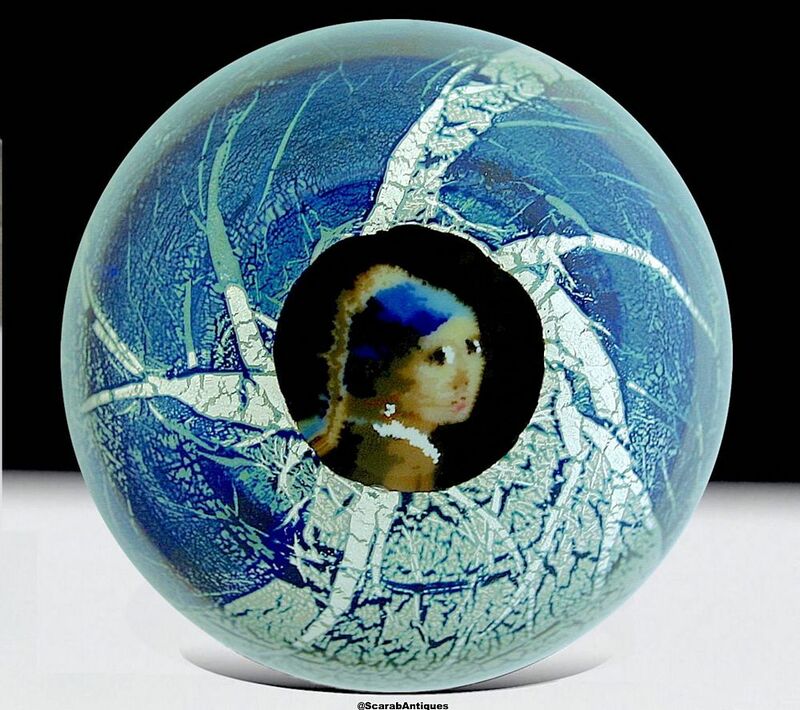 In the centre of the paperweight is a picture cane of the "Girl with the Pearl earring" and swirling around that is silver leaf and colours of blue above the central blue glass. The base is scratch signed "M Hunter Twists 18 1/1" and has Mike's personal "MH" signature cane and the Twists Glass studio label. It is presented in a white presentation box.